I‘ve done a lot of traveling in recent weeks. Not only have I moved across the country, but other than that, I've also gone on several small trips, including a trip to Dallas. In these few months, I've had two different cards throw up fraud alerts. These were alerts on my own spending, but it did feel somewhat comforting to know that there are some protections in place against identity theft that come with my cards (although somewhat inconvenient to clear up). It's great that you can connect to the Internet for free almost anywhere you go. From an airport service to a hotspot in a coffee shop, there is a good chance you can find a way to get online without cost to you. But that free Wi-Fi does come with a cost — it's not secure. “Don't check your bank account in public places where the Wi-Fi is not secure,” cautions TransUnion. Instead, wait until you are on a private and protected network to look at sensitive information. Otherwise, someone could get your info from an unprotected connection. This is something I wouldn't have thought of, but now I see how much sense it makes. If you are traveling on a plane or bus, it's easy for someone else to see what you're doing. Just seeing your Facebook page can provide someone with a great deal of information about you. Even if you aren't connected to the Internet, the things you are working on might give clues about information that can be used to steal your identity. Be aware of the possibility, and work to prevent others from looking over your shoulder. Watch out for thieves who might use your social media posts against you. From going to your house to look for mail left in the mailbox (and taking your statements or credit card offers), to having an idea of where to target you, you might have a problem. I might share too much on social media sometimes, but I generally try to share pictures and plans after the fact. Additionally, I have made efforts to get my bills electronically delivered to avoid theft out of the mailbox. If you are concerned about what information someone might get out of the mailbox, stop the mail. If you will be gone for more than a few days, it makes sense to use a mail hold. That way, you don't have to worry about whether or not it is delivered, and you have problems. You can pick up the mail and restart it when you get back. At the very least, though, try to arrange for someone you trust to bring your mail into your home while you are gone to reduce the chances of having your information stolen. While you can't completely protect yourself all the time, with a little planning, it's possible to reduce the chances of having your identity stolen while you travel. 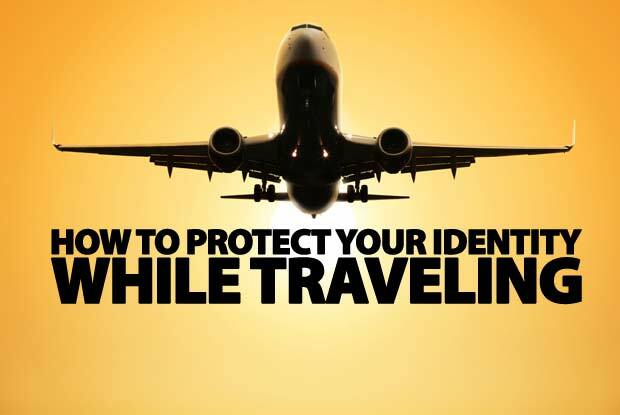 Have your own tips for protecting your identity while you travel? Tell us in the comments! Do You Know What REALLY Affects Your Credit Score? Many consumers are aware that a credit score is an important part of their finances. In recent years, a credit score has become an indicator of your financial wellbeing and reputation. Even companies that aren't lending you money might be interested in your credit score. As a result, it's important to keep tabs on your credit score, and understand what is likely to impact your score. Unfortunately, there is some confusion over what is likely to affect your credit score. A recent survey from TransUnion indicates that there are some major points of confusion for many consumers when it comes to their credit score. Are You Confused About What Affects Your Credit Score? Cell Phone and Rent Payments Affect Your Credit Score: According to the survey, 45 percent of respondents thought that rent directly affected their credit scores. At the same time, 47 percent thought that cell phone payments directly affect scores. The reality is that, while some credit bureaus and even FICO are toying with the idea of including some non-traditional information in their models, right now credit scores aren't directly affected by these payments. If you miss payments, your account can be turned over to collections, and that will drag your score down, but right now positive payments aren't often reported and used to figure your credit score. Income Matters for your Credit Score: It would be nice to think that, as your income improves, so does your credit score. In fact, 48 percent of respondents to the TransUnion survey assumed that a pay raise would help credit scores. However, this isn't the case. Your income is not considered a factor in determining your credit score. How much debt you carry relative to your available credit matters, but your income isn't a factor. You're better off making sure that you pay on time and keep your debt low — no matter how much you make — than hoping that a pay increase will save your credit score. Credit Inquiries and Your Credit Score: Many consumers are also confused about how credit inquiries affect their scores. About 40 percent don't understand the connection, and some believe that checking their own scores will cause a problem. 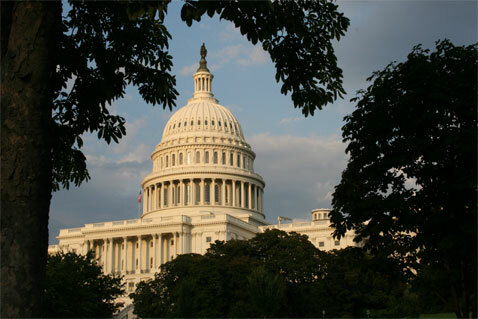 If you apply for credit, your score could be impacted. However, if you check your own credit score, nothing will change about your score. There is confusion about other inquiries as well, though. Sometimes telecom companies and others look at your score, and they way the look might have different impacts. It's best to ask before you agree to an inquiry. 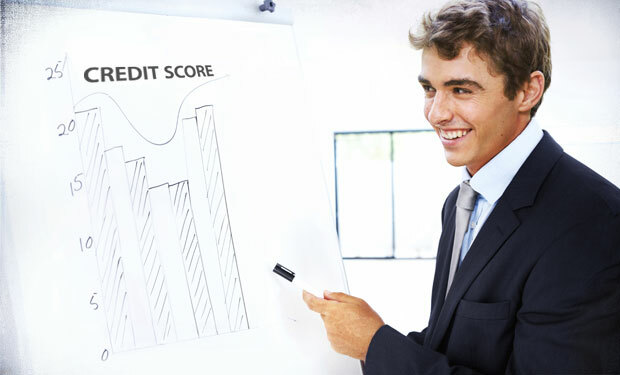 In the end, understanding how your credit score is figured can be a big help to you as you plan ahead. Before making a major purchase that requires a loan, such as a home, you need to make sure that you have good credit. Staying on top of the situation can benefit you later. The economy was in a tailspin a few years ago, and although things have improved, many people are finding themselves either unemployed or underemployed. We all need to make sacrifices at times in order to make ends meet – but sometimes it can be hard to come up with new ways to save. Today I thought I would try and list a bunch of ways to save that my family uses, and hopefully a few of them will be ideas that you hadn't thought of before. Here are 10 ways that our family is saving. Have your own ways to save? tell us in the comments. Stop paying for cable or satellite TV: Stopping your subscription TV service can save a ton of money on a regular monthly basis. On average when we've been paying for service the bill can run anywhere from $35-$125/month. Over an entire year canceling your TV service can save you $420-$1500! Instead of paying for cable try watch TV shows for free using a software like Playon, or by hooking up your computer to the TV. Check out my article “How To Watch TV For Free Or Cheap Without Paying For Cable ” for a detailed look at this option. Make it a point to shop for better rates on insurance: One place that a lot of people overpay is when it comes to insurance. Take a day off from work and shop your homeowners, auto, health, life and other insurance coverages to see if you can find a better rate. The last time I did this I ended up saving over $1000 a year on my rates! Use subscription services? Cancel them and use a cheaper alternative: Are you paying $15 a month to pay for a subscription movie rental service like Netflix – but only rarely watch movies? Cancel the subscription and use a cheaper alternative like the Redbox movie rental kiosks. Paying for several magazine subscriptions? Read the magazines at your local library instead! Realize that you don't need to buy new: When buying things that you need, realize that you don't always need to buy those things new when used can be bought for a much smaller price. Save$5-6 grand by buying a used car, or save hundreds by buying a used version of last year's model of digital camera. Buy used clothing, books, electronics or other high ticket purchases. Eat out less often: It can be extremely easy to justify spending when it comes to eating out. We did it at our house until we actually kept a budget and realized we were overspending by hundreds of dollars every month just because we were eating out. Packing lunches and making dinner at night meant we saved in excess of 2-300 dollars a month! Save on entertainment at the movies: My wife and I love going to the movies, but nowadays you almost have to take out a second mortgage in order to afford the movies. But there are ways to save on going to the cinema. You can go to a matinee, see the movie at a second run theater, buy packages of tickets at a reduced rate, bring your own snacks (if they allow it), seek out free family movie days in the summer or join movie watcher loyalty clubs. Maintenance saves money: By maintaining the things you own you'll end up spending a little up front, and saving a ton down the line. Go for regular oil changes and service checks, and do regular maintenance around the house in order to ensure that all of your things are in good working order. Sleep on it: A lot of people like to buy things on impulse and the result is they overspend on a ton of things they end up realizing they don't need. Give yourself a waiting period for purchases over a certain dollar amount, and quite often you'll realize while you're waiting that you don't want or need the item. My waiting period? At least 24 hours, but more depending on the cost of the item. Make a list – and use coupons: One of the biggest things that I don't do when grocery shopping sometimes is actually making a list of the items we need to buy. The result is that we end up buying a bunch of junk food or other items that aren't needed. Instead, make sure to shop when you're not hungry, make a list – and actually clip some of the coupons you see in the paper to save some extra cash. It never hurts to ask for a discount: There are so many times that you can save big just by asking for a discount. For example, we recently called up our internet service provider and asked them to reduce our rate in order to keep us as a customer. They found a promotion that was currently running, and applied it to our account to save us $15/month. Another big one we’ve used is to ask for a discount on medical bills. Often if you call up the hospital billing department you can save 10-20% off of your bill just by asking, and paying cash. This can end up saving you hundreds or thousands of dollars! So there are 10 easy ways to save money on your regular and not so regular bills. Get creative, don't accept the status-quo and look for savings in places you maybe didn't even think to look before. 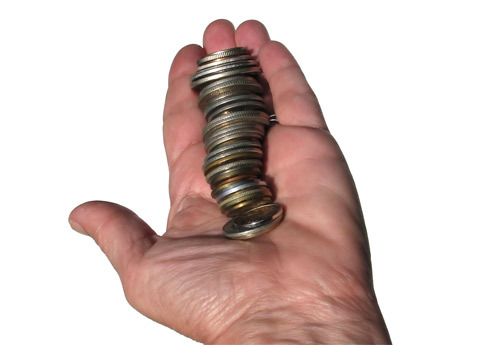 Where do you find savings in your budget? Tell us some creative ways that you save money every month! If you're anything like me you probably like keeping your expenses to the minimum – while at the same time not sacrificing so much that you're living an austere existence. You don't mind giving up eating out, as long as you're eating well at home. You don't mind having a pre-paid cell phone, as long as you still have a wireless plan and decent phone. You don't mind reading books online for free, as long as you have some good entertainment. Finally, you don't mind not paying for cable tv, as long as you can still watch the shows that you enjoy watching. This past year or two we employed a couple of different strategies (legal ones!) in order to stick it to the cable company, and not pay for all the entertainment options we were enjoying. In reality, if you want to, you can do the same thing at your house. The option that many people already know about is watching the TV and movies that you want to see via the internet. There are a large number of sites that will allow you to watch TV shows free either the day of, or within a few days of the episodes airing on regular TV. 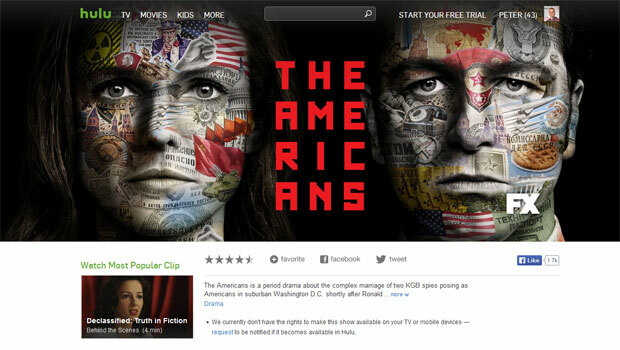 Hulu.com: Probably the best one out there in my opinion. Does have commercials, but options are endless. All my favorite shows show up here. Pluto.TV: A cool online TV network of sorts for web video. Stream it right to your TV via your Chromecast or other device. TV Network sites: ABC, NBC, CBS all have good full episode streaming options available. Veoh.com: Tons of content, including TV shows! Crackle: great shows including Jerry Seinfeld's web series. AOL Video: Both short and long video clips and full shows. There are a ton of other free video sites out there, this list only lists some of the ones I found to be the best. Have some free online video options that you use? Let us know about them in the comments and we'll add them to the list. One option that a lot of people are just now realizing is the fact that you can watch all the major networks, and a variety of other public television stations free of charge over the wonderful new digital airwaves. In fact, 94 of the top 100 shows are on broadcast TV! There are also a bunch of over-the-air DVRs available as well. Over-the-air DVRS will allow you to watch live broadcast TV, record your favorite shows, or entire series. Here are the two that I think are the best. I have tried both and like them both. Tablo TV DVR (full review here): I love the Tablo because I can record the shows and then download them via a software like Tablo Ripper to archive the shows on the computer – on an attached hard drive. We like some of the cable shows as well, however, so this option alone doesn't cut it for us. PlayOn also has the ability to stream and record your favorite shows, and can even record streams of entire series from websites where you have memberships, like Netflix and Amazon. So what do you need to set up a Playon media center? Network Media player: Any number of media players will work to view the media on your TV including Xbox One, Playstation 4, Wii, Chromecast, Fire TV, Roku. Other supported devices can be found here. We bought a refurbished Xbox 360 for extremely cheap on Ebay – works great! TV: You need a TV that you can connect to your network media device. We use a 50″ plasma. Playon software: The software is what allows you to stream all of your favorite online video sites straight to your TV over your home network. The software does have multiple membership levels, including a $59.99 one time fee for a lifetime subscription, which includes the ability to record shows. A bargain in my estimation. Computer: You'll need a home computer that is connected to your home network that will run the Playon software and serve the video to your network media player. The graphic below gives you an idea of how it works. Media Hub Myth TV: Another popular Digital Video Recorder and home media center hub that you can install on your PC is Myth TV. Check it out here. Kodi.TV: Kodi (formerly known as XBMC) is a software media center for playing videos, music, pictures, games, and more. There are add-ons that will allow you to use TV tuners to record shows, etc. It can also be installed on a Fire TV stick or other streaming devices to view your media on the big screen. Plex.TV: Plex Media Server allows you to put all your media in one place and view it on all your devices. I recently purchased a lifetime subscription to Plex. I rip shows from our Tablo DVR and view them on all our devices via Plex. Another great offline option for watching TV and movies is just watching them on DVD! Yes, I know that's so 2000. Redbox: Redbox allows you to rent a new release movie for $1 a night, which is an extremely low cost movie rental option. They are showing up just about everywhere including gas stations, grocery stores and Walmarts everywhere. Search for coupon codes online for free redbox rentals, and it can be even cheaper! Amazon Instant Video: If you've got an Amazon Prime account, you can stream a ton of shows and movies for free. Otherwise, rentals are usually less than $5. Google Play Store: You can rent shows and movies from here and view them via your networked device. VUDU: Rent hundreds of TV shows and movies from this WalMart owned streaming service. Sling TV: A streaming service that offers premium cable channels for $20/month. HBO Now: Get premium HBO content for $14.99/month. Fubo TV: A newer live TV streaming service that starts at $19.99/month. Philo TV: A new non-sports oriented cable streaming service starting at only $16/month! This is our current main service right now. Full Philo TV review here. Your Local Library: Your local library will most likely have a decent selection of DVD movies that you can check out for a week or more. In fact, many libraries will actually buy copies of new releases that you can reserve. My local library tends to be a bit picked over, but if you get on a waiting list you can usually find movies or TV shows you’d enjoy watching. Borrow from people you know: Borrow movies and TV shows from your neighbors, friends and family! They may as well get some use out of that large DVD library they paid so much for! As you can see from the post above, there a million and one ways to watch TV, movies and other video entertainment, as long as you get creative. It doesn't have to cost an arm and a leg like the cable and satellite companies want you to think. In fact, it can be rather affordable. So get crackin! Note: One of the few glaring holes in this whole plan is that finding live sports via an online source can be difficult or next to impossible. If you're a big sports fan, until new options become available, you may end up having to pay for cable anyway. Sorry! Do you have other suggestions for free or cheap ways to watch TV? What setup do you have at your house, or do you still pay for cable or satellite TV? Are there shows that you think you can’t get by using these free video options (like sports)? Tell us your thoughts in the comments! Looking For A Job? Don’t Forget The Tax Deductions! In this tough economy, a lot of people are looking for jobs, or for one reason or another have just quit their job. If you've spent some time and effort — and money — on your job search this year, you might be eligible for a few tax breaks. Indeed, many of the expenses that you are likely to incur during a job search are tax-deductible. Can You Deduct That Job Search Expense? Before you get excited, though, you need to be aware of the caveats. First of all, you can't deduct job search expenses if you have had a long break since your last job. So, if you were laid off, and then unemployed until your benefits ran out, you aren't going to be able to take the tax breaks. You need to be actively looking for a job within a short period of time after leaving your last job if you want the tax deductions. Also, you can't deduct expenses if you are looking for your first job, or if you are changing careers. You have to be searching for a job in the same field, and you can't be fresh out of college. Travel: If you fly or drive to another city to look for a job, you can count those expenses. Travel expenses include flight, mileage, hotel costs, and even a portion of networking meal costs. However, if you take a day trip somewhere fun, those expenses aren't deductible. Make sure that you only deduct the travel expenses directly related to your job search and the interviews you participate in. Fees paid to employment agencies: If you pay a head hunter, career coach or employment agency a fee to help you find a job, you can deduct those costs. However, you do need to be careful. If your employer reimburses you for your employment agency expenses, you can't take the deduction. If you take a deduction in one tax year, and your employer reimburses you in another tax year, you are supposed to report the reimbursement, up to the amount you deducted, as part of gross income. Resume services: If you pay fees to have a professional help you with your resume, that is tax deductible. Printing and mailing costs: Costs associated with printing your resume and mailing it out, or mailing other application materials (such as cover letters and letters of recommendation), can be deducted when you prepare your tax return. Calls: If you make phone calls to potential employers, and you incur costs to call them, you can deduct those expenses. Remember, though, to keep good records. Make sure you save receipts, and make notes of the job search activities you engaged in. You will need to keep copies of your records with your tax return so that they are handy if the IRS decides to audit you. It can help to talk to a tax professional or an accountant before you deduct your job search expenses. You want to make sure you are on the right track, and deducting appropriate expenses. Are You Ready Financially And Emotionally To Buy A Home? One of the big financial and life milestones that our society still values is the purchase of a home. We assume that a home is going to be a solid investment, even if it's more of an emotional investment than a financial investment. But are you really ready to buy a home? Casey Fleming is the founder of LoanGuide.com, and he has decades of experience in the mortgage industry. He sees plenty of people buy homes when they aren't ready for the financial and emotional commitments that come with home ownership. Before you buy a home, review your finances. Are you truly ready for the cost? “You need to have the savings, credit, and income to support the purchase,” says Fleming. It's not just about saving up for a down payment. Fleming points out that there are ongoing maintenance and repair costs associated with being a homeowner. “Your landlord will no longer come when the dishwasher breaks,” he says. That's something that you are in charge of. From yard care to repairs, you are in charge of caring for your home. Not only that, but you also need to consider the costs of insurance and property taxes. These are expenses that will impact your finances in the long run, and you need to be prepared. Also, be on guard against being house poor. The cost of paying for your home and maintaining it can mean that you don't have the money to do other things. 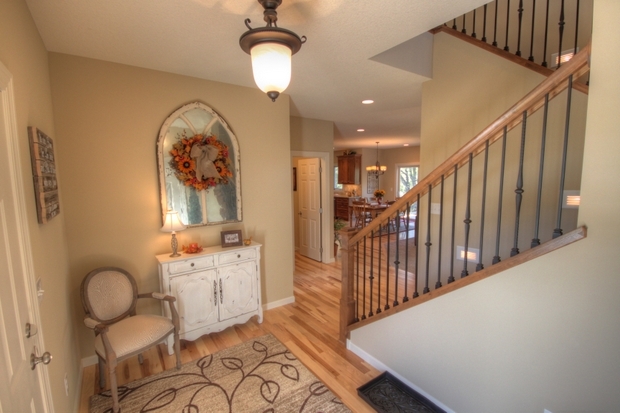 Don't forget that a big purchase like a home means emotional involvement as well. You need to be ready for the changes that home ownership brings into your life and the way you live it. If you have a lot of debt, buying a home and adding to that debt will only strain you further. Additionally, both you and your partner need to be on board with the purchase. Otherwise, you'll end up unhappy over the home. Instead, you have duties and expenses that mean you need to consider the impact of long absences. On top of that, you have less flexibility in living arrangements. You can't just break your lease and leave when you own a home. You need to be sure that you are emotionally ready to put down roots in one place before you buy, and realize that your home ownership ties you to a specific location and lifestyle.